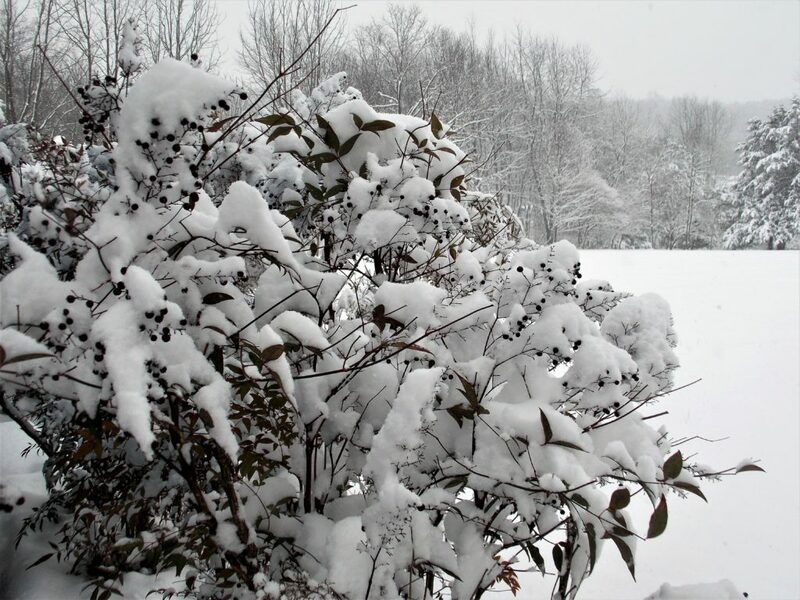 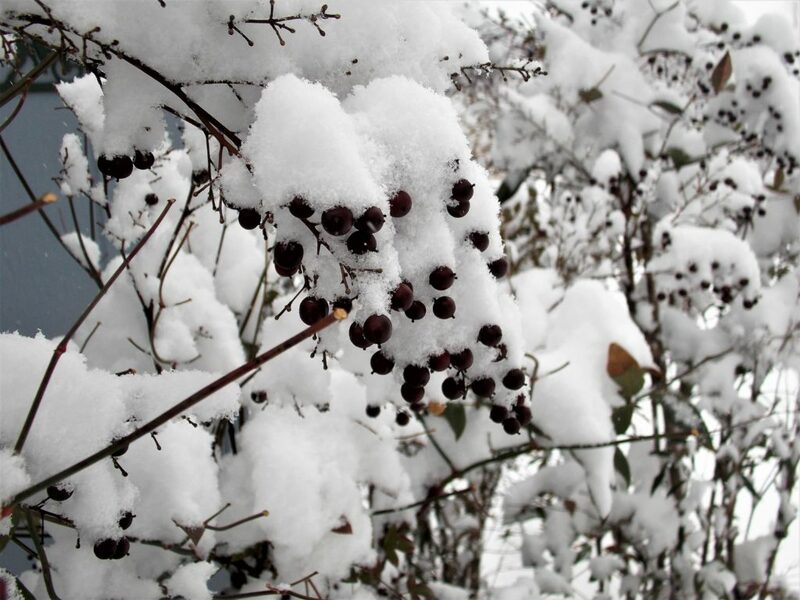 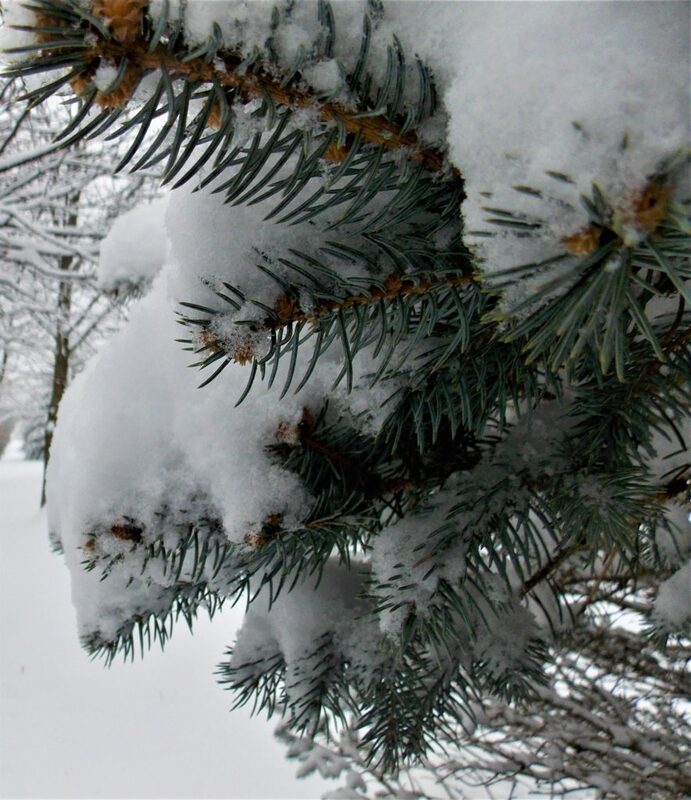 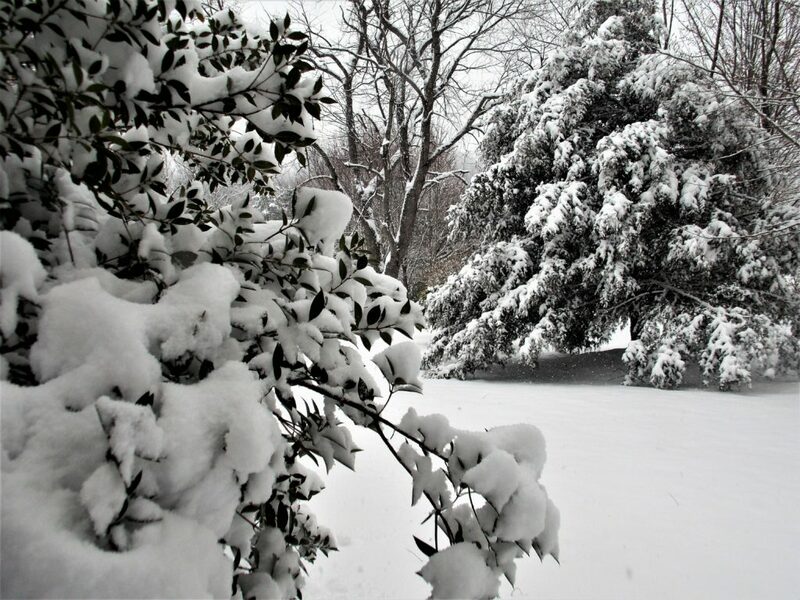 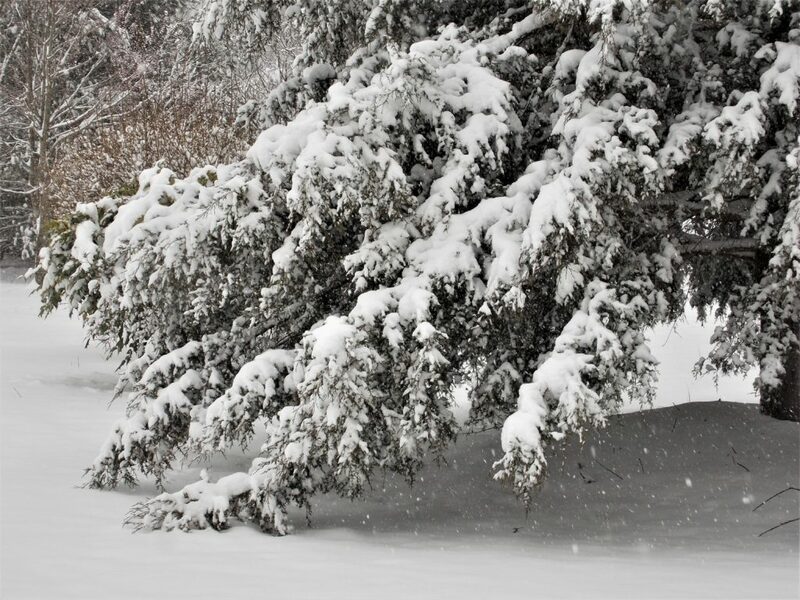 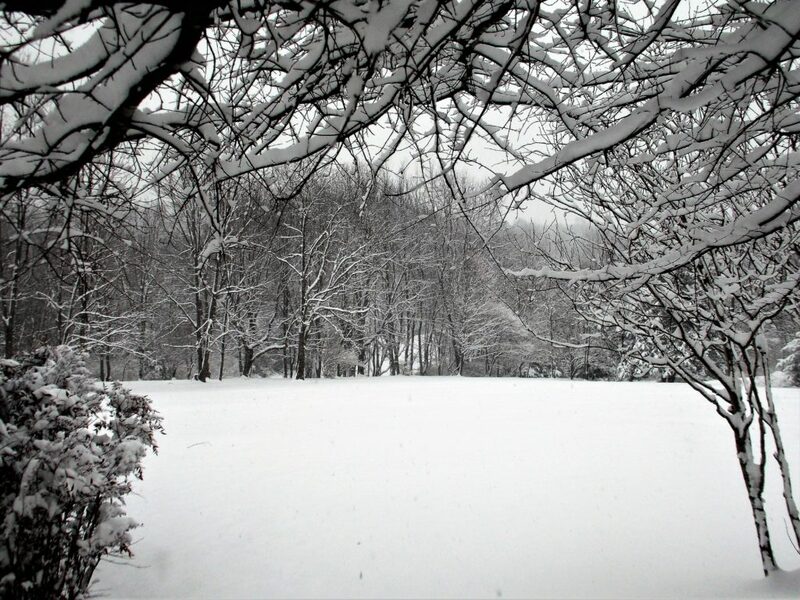 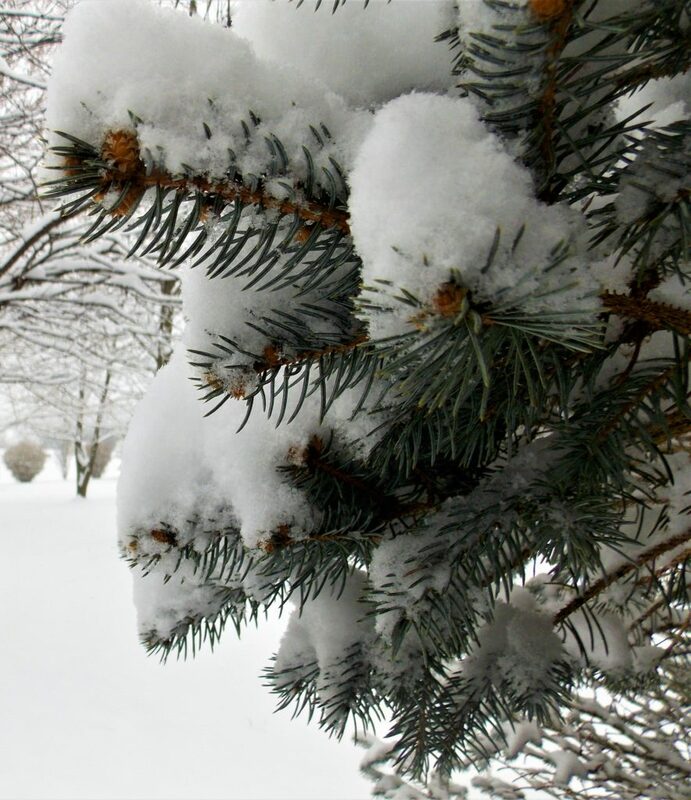 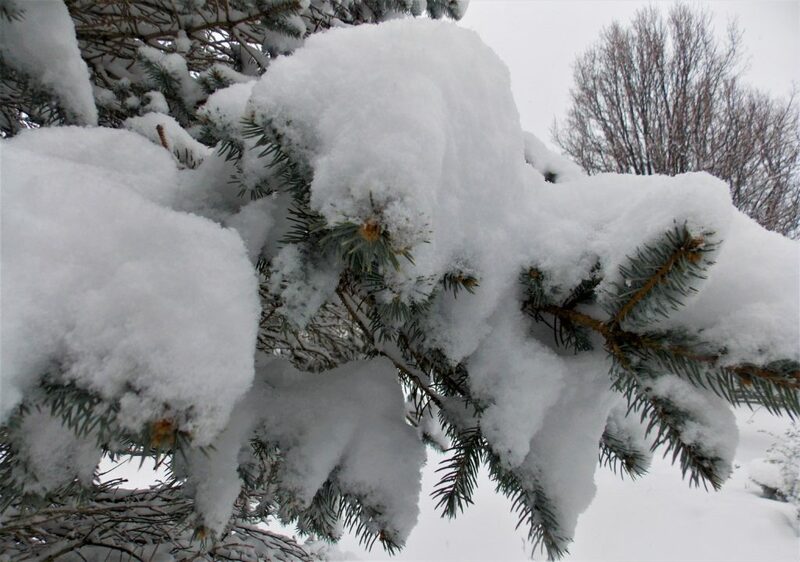 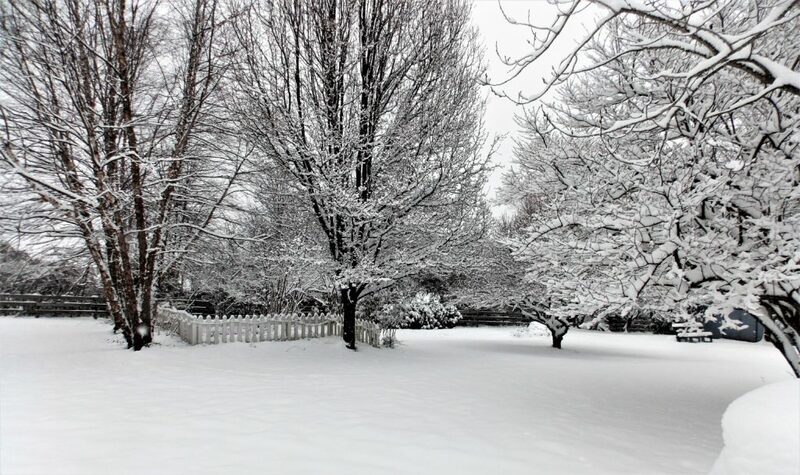 The first real winter storm of the season dropped 6.5 inches of snow in my corner of the world on Monday. 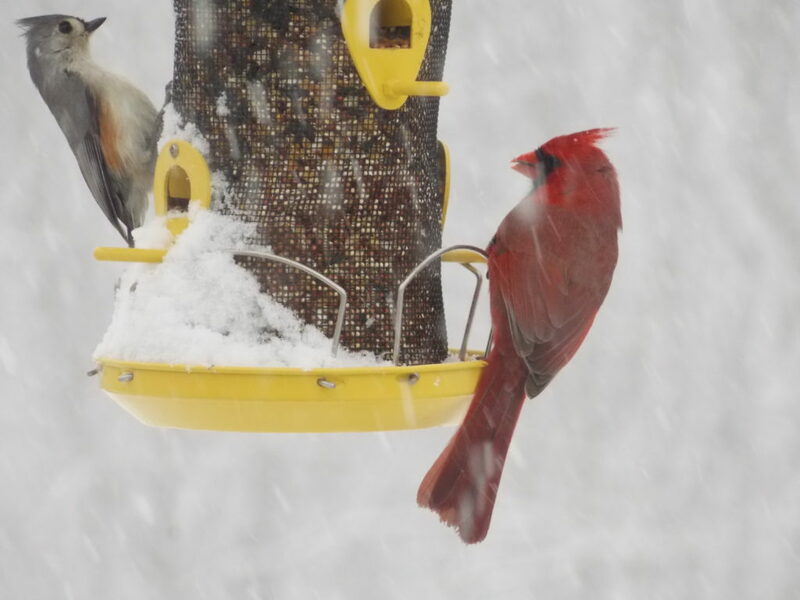 Outside was a winter wonderland as I walked around the yard while the snow continued to fall, and there was lots of activity at the bird feeders. 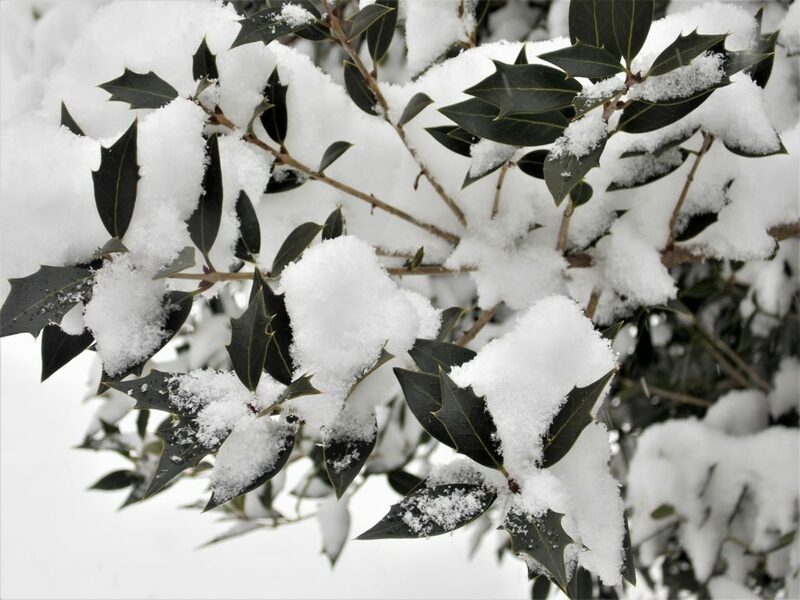 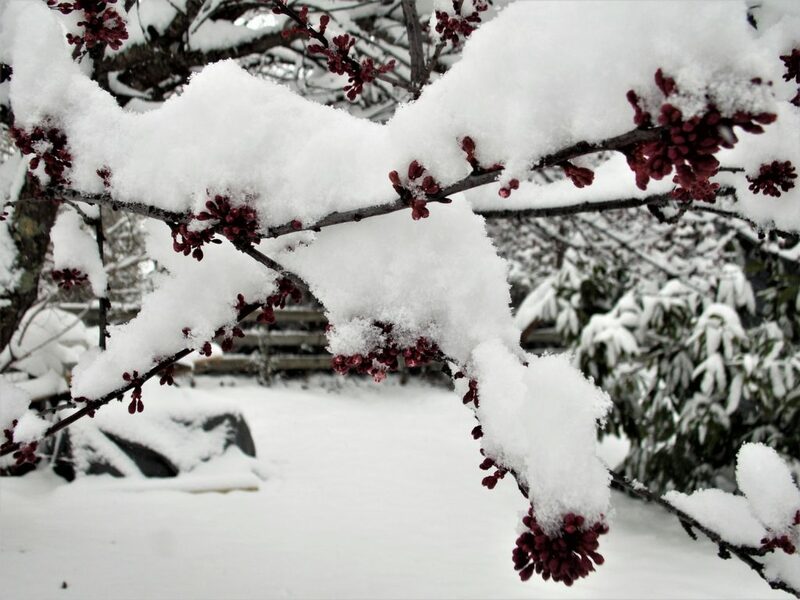 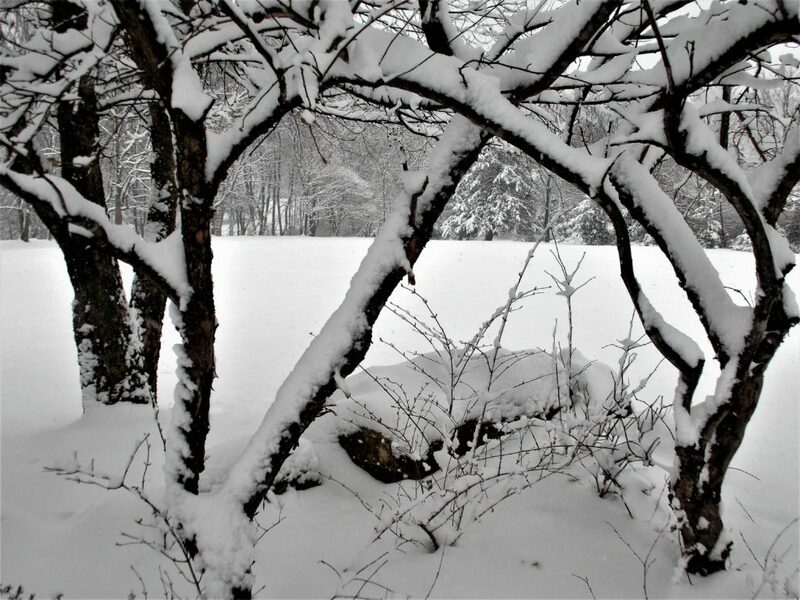 The winter of 2017-18 is drawing to a close as spring slowly pushes in…. 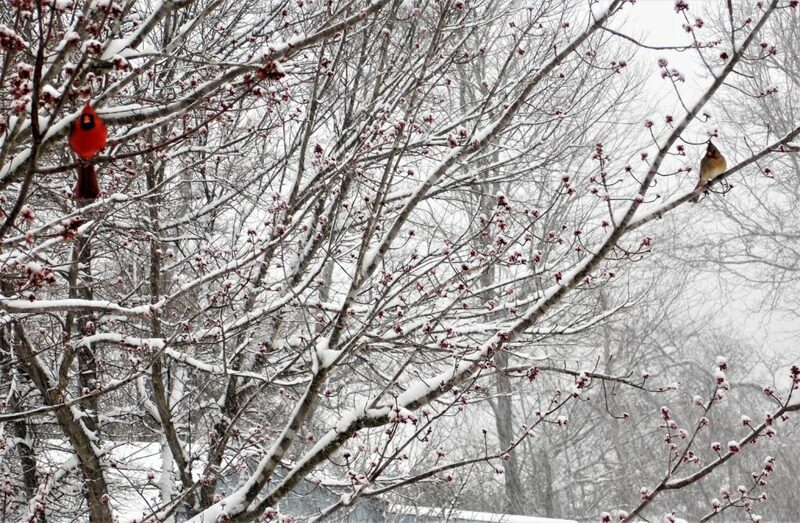 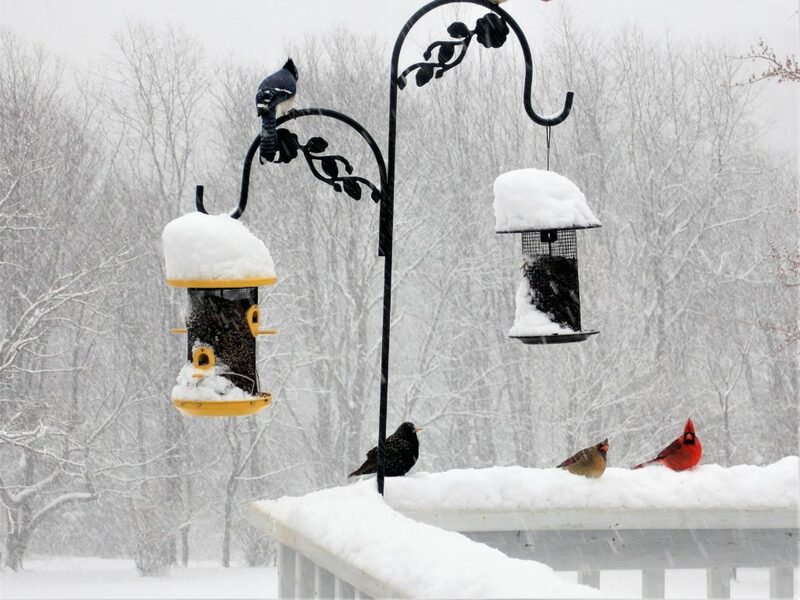 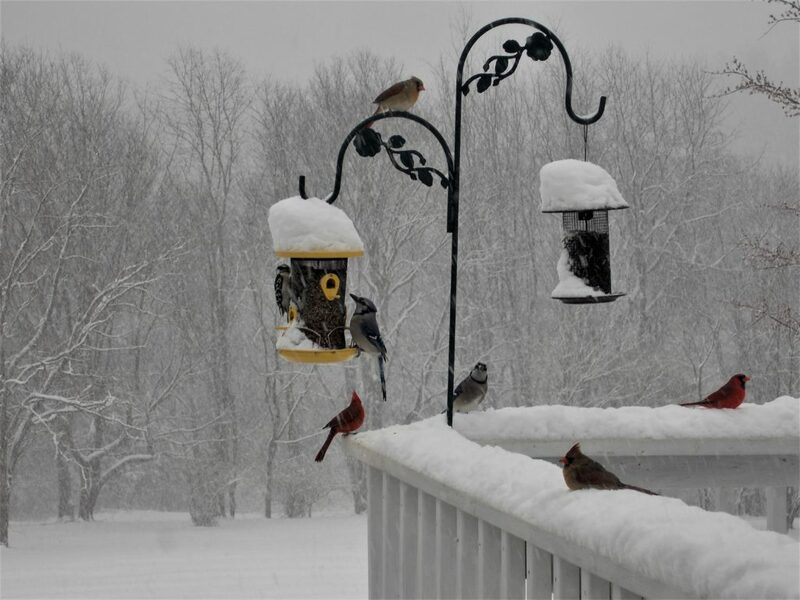 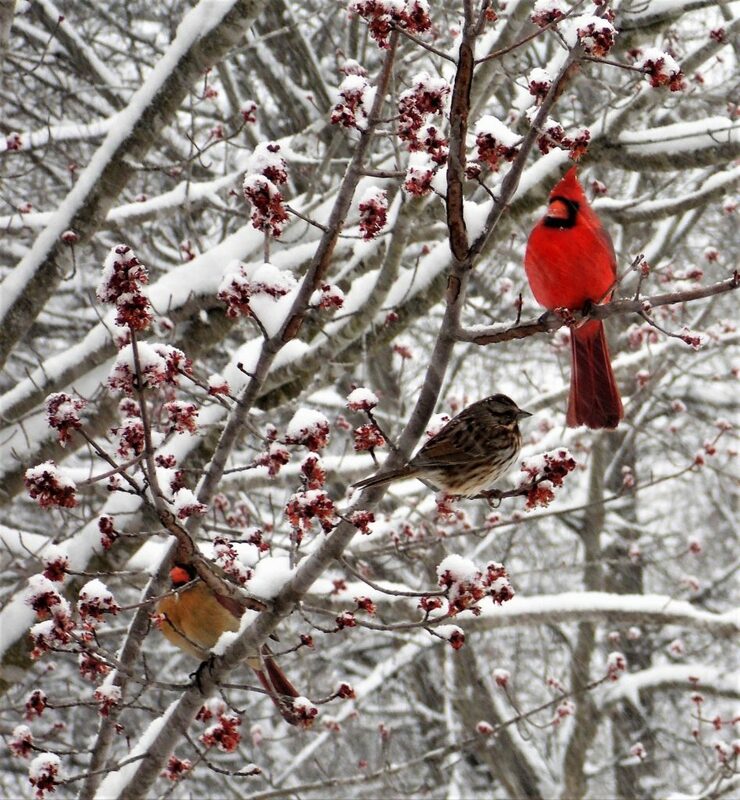 The back yard bird feeder is busy this morning as heavy snow falls in Augusta County. 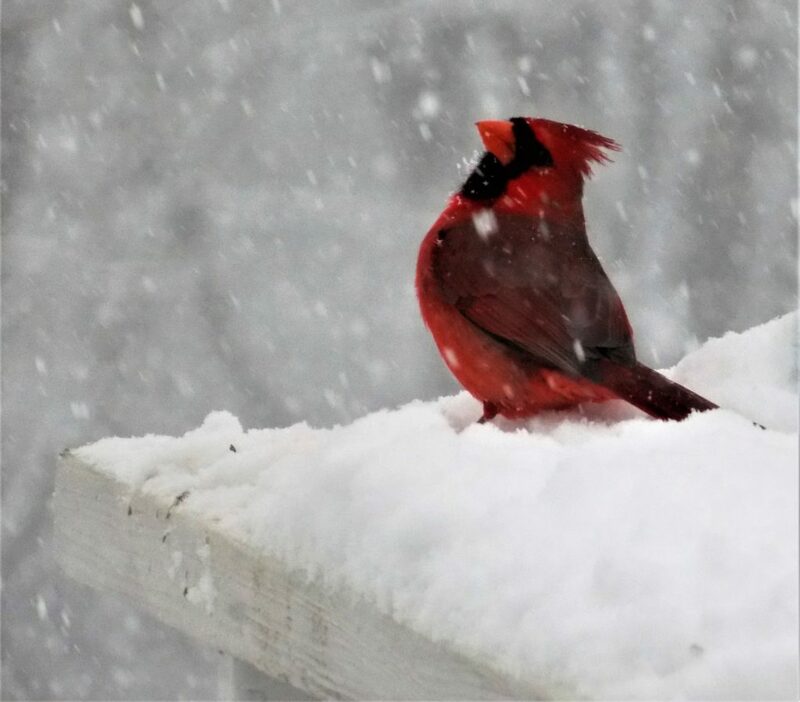 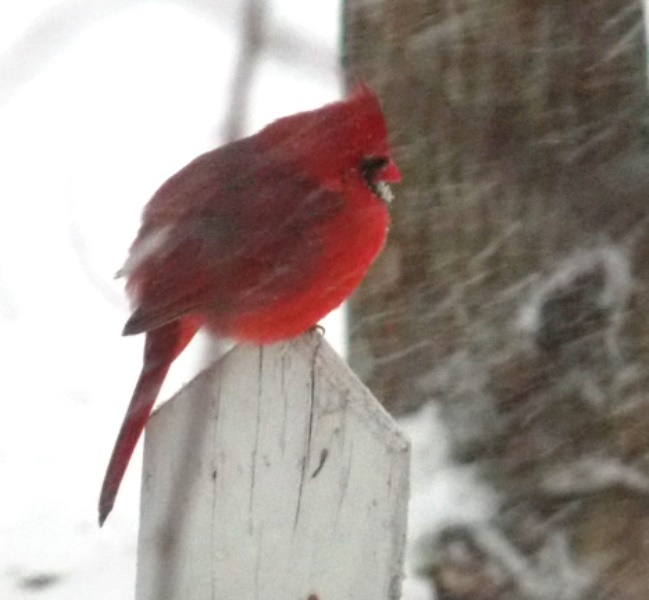 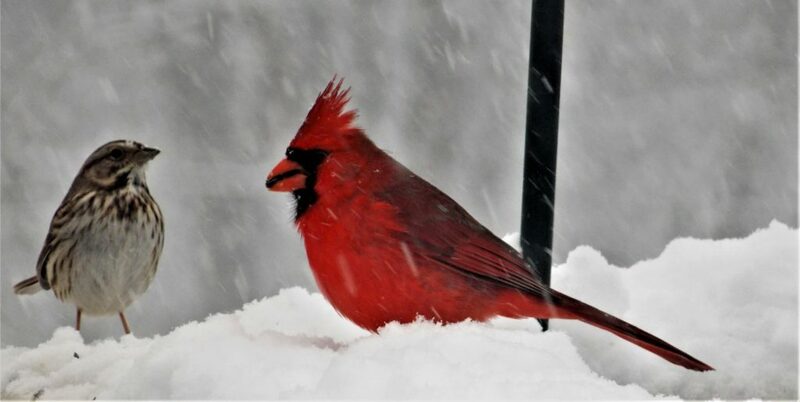 This cardinal was hunkered down on the picket fence as he faced into the wind and driving snow while waiting his turn at the smorgasbord. 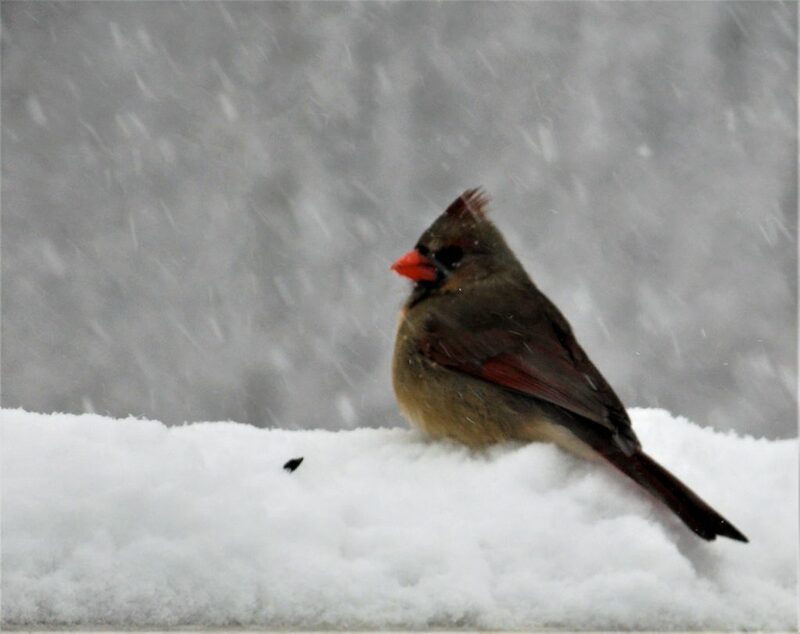 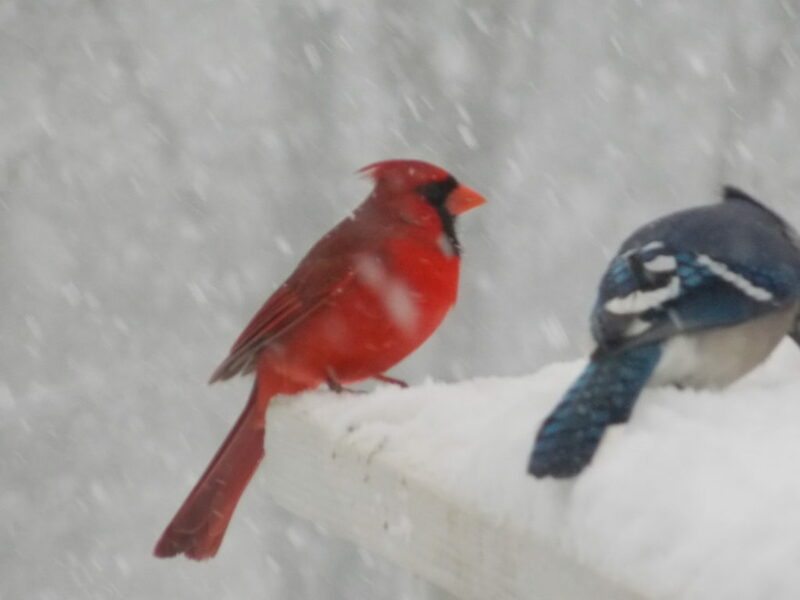 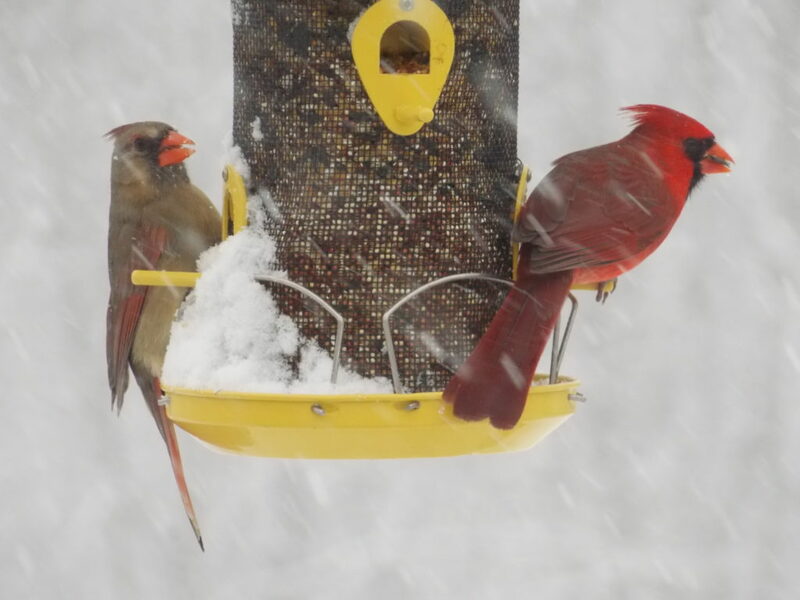 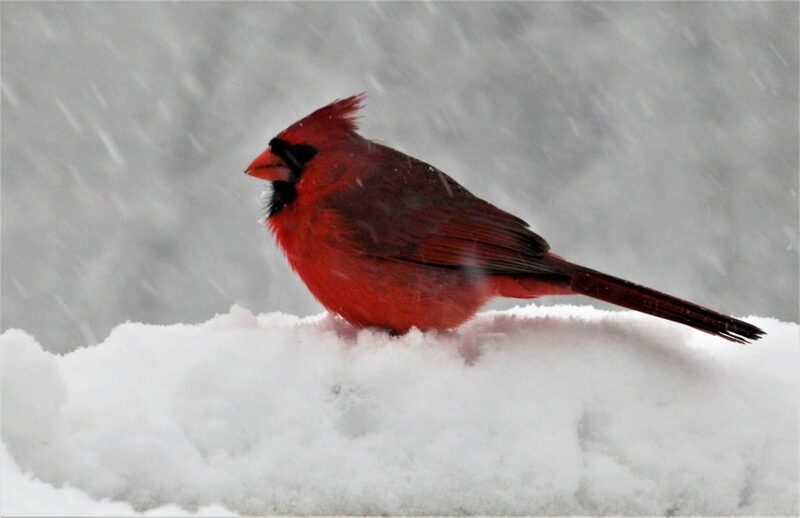 This pair of cardinals were at our freezerless bird bath Friday afternoon as the snow came down. 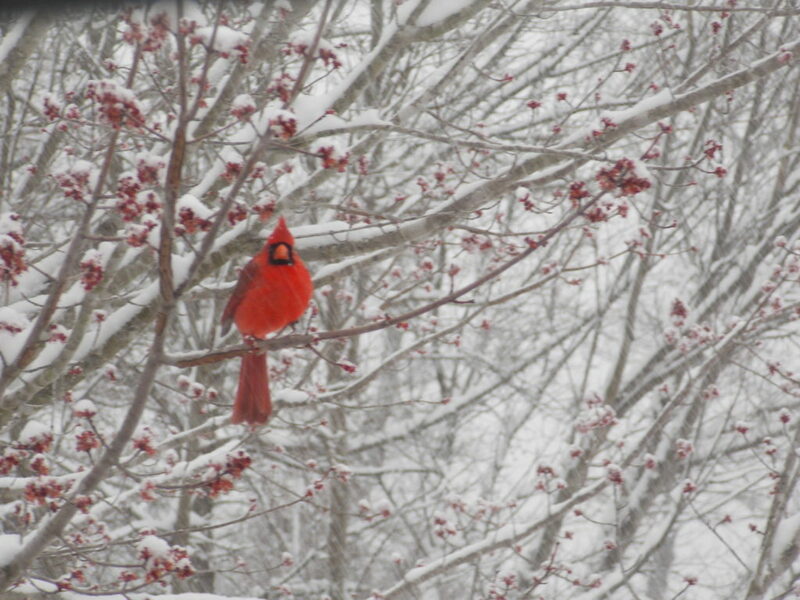 It was taken through the glass door so it’s not as in focus as it could be. 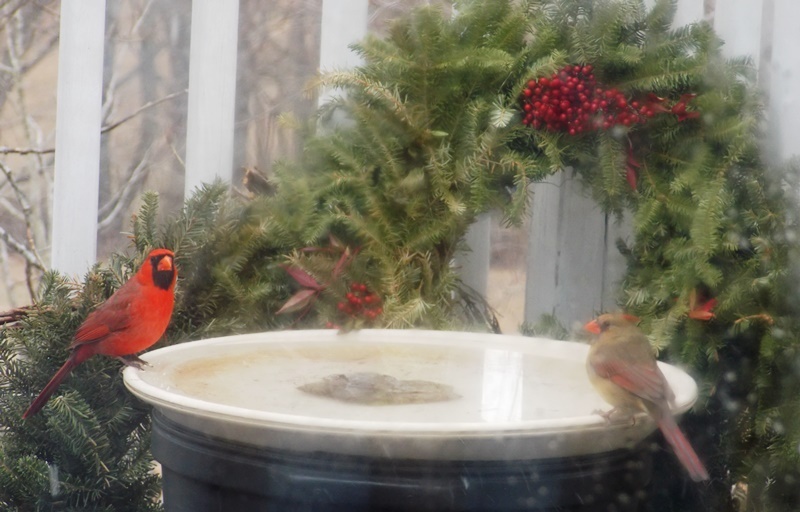 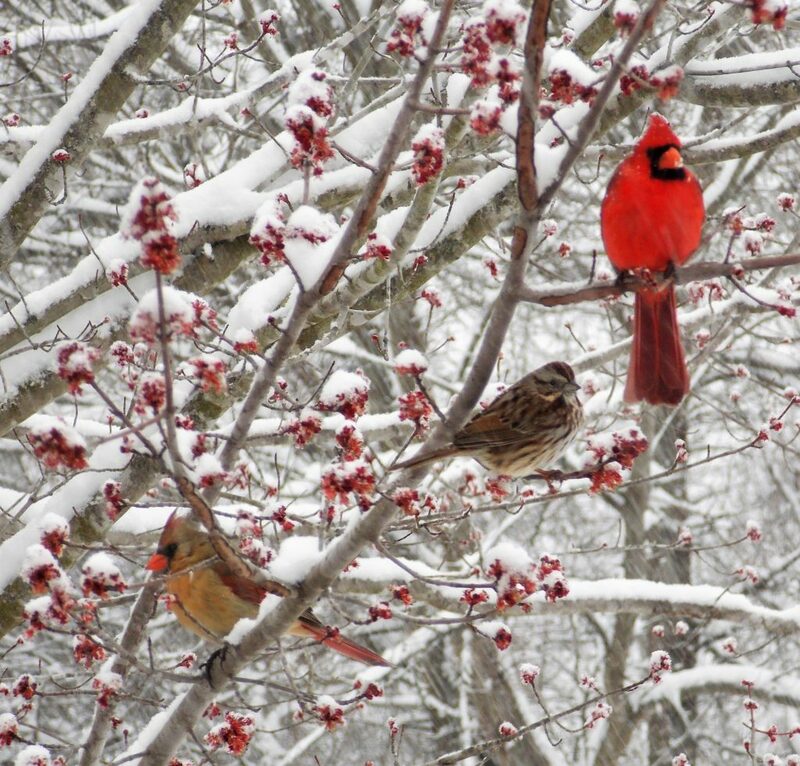 This is one of many cardinal pairs that live in the yard and visit our bird feeder and bird bath throughout the year.